Many Eurosceptics look to Norway as a guide to how Britain would function outside the EU, but within the European Single Market. Europhilles decry it as an incomplete halfway house. But who is correct? Should the UK decide to leave the European Union, there are several options for an exit settlement. One of these is for the UK to apply to join the European Free Trade Association (EFTA), and through that to continue its membership of the European Economic Area (EEA). 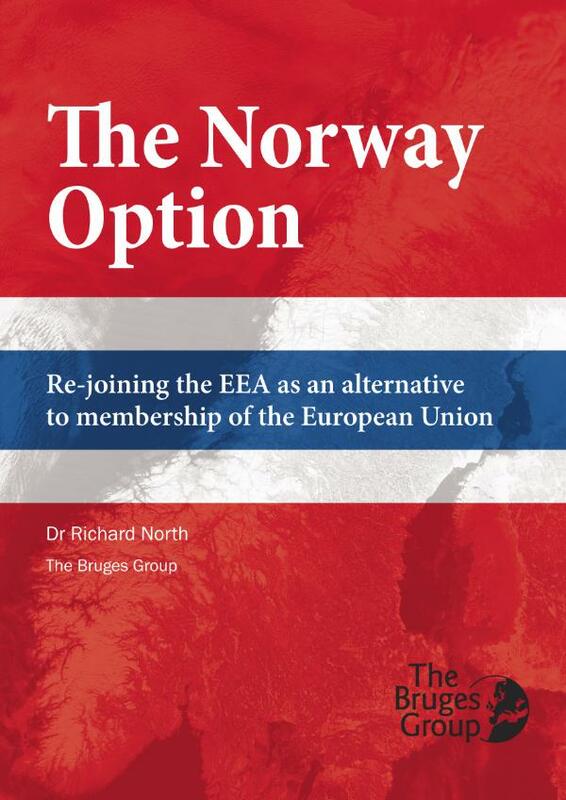 This is the “Norway Option”, so-called because Norway is the largest nation within the EFTA/EEA group, which also includes Iceland and Liechtenstein. In this booklet, therefore, we take a detailed look the way the rules are made, and at some of the bodies that make them. We then look at some of the ways in which the Norwegians exert their influence and shape the legislative agenda. We also look at how the Norwegians protect their national interests. And, as the issues rehearsed have significant implications for the UK, these are assessed throughout this booklet. In many respects, the UK would significantly benefit from securing access to the Single Market via the EFTA/EEA route, even if this was only a temporary home pending a long-term arrangement. As long as the bulk of legislation originates at global level, the UK needs representation of its interests there, putting its own point of view without it being filtered though the EU “consensus” and presented by European Commission.